David Grimaud grew up in the car repair business. His father, Joe, operated a Midas shop in Alexandria, La., where David spent many days working as a teenager. "It really taught me a lot about budgeting and business management," says the 52-year old today. Grimaud, however, had a passion for electronics that led him to earn a degree in electrical engineering from LSU and begin a career in Dallas in the mid-1980s. Grimaud soon realized that he liked "being the boss" and that he wanted to operate a business of his own. In 1987, his father, who was overseeing 37 Precision Tune Auto Care franchises in South Carolina, welcomed his son into the family business with open arms and a few new responsibilities--like expanding the territory and growing the number of units. Today, Grimaud is president of Precision Tune's largest area developer, Grimaud Enterprises Inc. (GEI), which oversees 93 stores in 11 states, from Utah to Texas to South Carolina, and splits the royalties with the franchisor. In a unique business approach, the Grimaud family and their partners also operate 51 of the stores, each an individual franchise. "We have a development schedule, and this model allows us the versatility of opening units ourselves or partnering with others to open and operate them," he says. 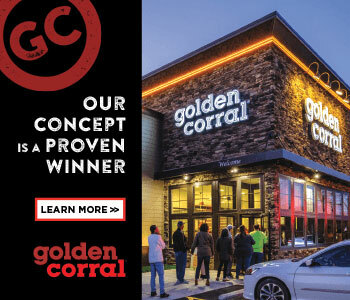 Always on the lookout for the smartest deals, Grimaud says sometimes that means building a new unit from the ground up or taking over an existing or closed location and turning it into a Precision Tune winner. Grimaud's 74-year-old father--one of the very first Precision Tune franchisees back in the 1970s--still serves as chairman of GEI, and his brother Greg is involved as an operator. Grimaud describes his wife Maureen as his "executive assistant and advisor," who plays a vital role in the company and "has an influence in everything I do." Together, they are constantly on the road overseeing the family empire. In fact, he says, about this profile, "My wife should really fill out her own questionnaire, but in the interest of time, I'm answering this from my perspective only." Grimaud jokes that he runs his office from his Honda Odyssey... with a little help from his iPhone and MacBook Pro laptop. He maintains a rigorous schedule, but says it's important to keep at it. "My philosophy is to grow profitably," he says, "because if you're not growing, you're dying." This is a loaded question because of the way we do things. Grimaud Enterprises has been an area developer (subfranchisor) of Precision Tune Auto Care since 1979. Today there are 93 units under the GEI umbrella. Grimaud family members and partners own/operate 51 of those franchises. Each of these franchises is owned by an individual S Corporation. They are lumped into groups around operating partnerships as follows: Mike Scott and his partners own/operate 22 franchises in Georgia, Florida, Alabama, and Texas; Mark Hall and his partners own/operate 12 franchises in South Carolina; I and my partners own/operate 12 franchises in Florida, Alabama, Mississippi, and Utah; Greg Grimaud and his partner own/operate 5 franchises in Oklahoma; Joe Grimaud and his partner own/operate one store in Georgia. This philosophy goes back to Joe Grimaud, the founder of GEI. 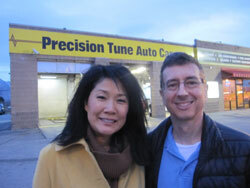 He was one of the first area subfranchisors and franchisees of Precision Tune. He had been a franchisee of Midas, but preferred being an area developer so he could grow the business. In that role, he would bring partners on board who would be the operating franchisee back to GEI. This philosophy has been carried forward by me. Family: Maureen (wife), Marilyn (daughter, 26, married to Kaleb), Geoff (son, 22, married to Natalie); no grandchildren--yet! In 1985 I took an electrical engineering degree from Louisiana State University and became an associate product engineer for United Technologies Mostek in Carrollton, Texas. I was a product engineer in the manufacturing of semiconductors. Mainly, the philosophies of three different books have influenced me: The Bible, How to Win Friends and Influence People by Dale Carnegie, and The Seven Habits of Highly Effective People by Stephen Covey. My biggest accomplishment would be the 28-year marriage (and still going) to my wife and business partner, Maureen. Actually, I would say that is more Maureen's accomplishment, as I can be a bear at times. Growing too rapidly in the '90s. In 1991, my father, Joe Grimaud, was called by the board of directors of Precision Tune to save it from financial ruin. He promoted me to president of GEI at the old age of 31. I was very ambitious in those days, with all the answers. I grew our operations broadly and rapidly, not realizing how thin I was spreading us. My father served the franchisor for four years and got it healthy, but after he left, Precision Tune Auto Care got into worse shape under a different CEO. Between problems that developed within our operations and the question as to whether or not Precision Tune would survive, we decided to close seven of our stores and focus on our core. This resulted in an enormous loss in 2000. Fortunately, we were strong enough to survive it. Had I been with any other company, the board of directors probably would have fired me. I told my father that my college education was expensive, but this would be the best education he ever paid for me. Our daughter, Marilyn. Let's just say she was a wonderful surprise. One of the happiest days of my life when she was born. There are many, but related to the "biggest mistake" fiasco above, I would say I wish I hadn't pushed us into Central Pennsylvania in 1994. We're no longer there. Traveling with Maureen, downhill skiing, speaking French, playing jazz on the piano or bluegrass music on the banjo, playing chess (I'm president of the South Carolina Chess Association). Three hours a week at the gym, spent between weights, cardio, and stretching. Note that I was inspired to do this by Stephen Covey's The Seven Habits Of Highly Effective People, which states that you need to be balanced in all dimensions and areas of life: physical, mental, emotional, and spiritual. My iPhone. Also my MacBook Pro. I am a longtime Apple fanatic. I purchased the original Macintosh computer (128K of RAM) in 1984 after reading an article in Byte magazine. It cost about $2,400 along with a printer, and that was in '80s dollars. That was about 10 percent of my salary, and I took out a loan from the credit union. I am amazed at how much better the computers are today, and for the same amount of money in today's dollars you get a much better Mac and you carry it around in your briefcase. This is the result of American innovation and entrepreneurship. This is how I exercise the "mental dimension" of the Seven Habits. I read constantly, both fiction and nonfiction. My goal this year is to read 80 books, though I've only read 61 so far this year, so I'm a bit behind. I am concurrently reading. Fiction: Catching Fire by Susan Collins, the second book in The Hunger Games trilogy. I don't consider this serious fiction, and am mainly reading it so I can discuss it with others who have read it; Don Juan by Molière in his original French; and The Secret Lives of People in Love by Simon Van Booy (this I would consider serious fiction). Nonfiction: Confronting Reality: Doing What Matters To Get Things Right by Larry Bossidy and Ram Charan, who co-authored Execution: The Discipline Of Getting Things Done, which I recommend all business managers and executives read; and The Speed of Trust: The One Thing That Changes Everything by Stephen M.R. Covey. Mark 12:28-31, The Bible, New International Version: "One of the teachers of the law came and heard them debating. Noticing that Jesus had given them a good answer, he asked him, 'Of all the commandments, which is the most important?' 'The most important one,' answered Jesus, 'is this: 'Hear, O Israel: The Lord our God, the Lord is one. Love the Lord your God with all your heart and with all your soul and with all your mind and with all your strength.' The second is this: 'Love your neighbor as yourself.' There is no commandment greater than these." I watched an interview on TV one morning of Paul Newman and Joanne Woodward. The moderator asked why their marriage had been so successful. Woodward replied that her husband had a great sense of humor. Maureen appreciates that about me, too, and it has helped keep our relationship fun. What gets you out of bed in the morning? There is nothing I enjoy more than seeing people succeed and rewarded for their endeavors and that I played a role in it. I force myself to back off from the business. I don't want to sound like the proverbial broken record, but I follow the principles of Covey's Seven Habits. Manage your life by working on what is important in the four dimensions: Physical--work out at least three hours every week; Emotional--spend quality time with my wife, family, friends, and key associates; Mental--read often, play chess, play music; Spiritual--pray/meditate and attend church regularly. Give back to the community. All this is easier said than done. Work is a priority, but I realized back when I turned 40 (see biggest mistake above) that a life chasing money and prestige would result in a hollow eulogy at my funeral one day. Quite simply, what is it I wanted said at my eulogy? That David knew how to squeeze a penny and make a buck? No. I want people to say that I made a positive impact on them and everything I was involved in. I have essentially made that my mission statement. We took the week off around Labor Day weekend and spent it with our daughter Marilyn and son-in-law Kaleb visiting Bryce Canyon and Zion National Park in Utah. Hands-off, advisory style. Give people a job and let them do it. Doesn't always work, however, and then I adopt the "boa constrictor" method. Slither in, slowly coil around the situation, and tighten the coils. Leading our associates within evolving markets and an uncertain economy. Good question. I'm not sure I would want to be a "fly on the wall" when they're doing it. Turn around problem stores more effectively. 1) communication (sales figures, what's working, best practices, market trends, advertising strategy, etc. ); 2) training, both operations and technical. Our business tends to be anti-recessionary (people keep their cars longer and repair/maintain them during these times), so if anything we have been looking for opportunities to grow locations while real estate prices have dropped from their peaks. Unclear. My feeling is that social media is just another communication avenue similar to word of mouth, and that like word of mouth, perhaps it's more credible to the various, online communities. If that's the case, it would be more powerful than mass advertising in the long run, either boosting or busting your business depending on your product and/or service. Its initial impact could be small in the short run. I hire based on experience, attitude, and references. I fire based on lack of honesty, incompetence, or consistent failure to perform. We train through on-the-job training, training offered by the franchisor, and our own homespun training classes. We retain by establishing relationships with our employees and offering incentives that reward them for performance. First, try to understand them, why they are a problem and whether or not they're capable to work through it. If they do not turn around within a reasonable period of time (and that time varies depending on the job function and position), then they must go. Sales, customer count, and unit count. Again, we have goals. Forgive me for not being more specific, but I'm not ready to share this information outside of our franchise. In a positive way, in that during a recession people tend to keep their cars and maintain and repair them so they'll last longer. Negatively, however, prices have not come down in the oil industry. In fact, they're at record highs, raising our cost of goods on oil changes. Conversely, the economy has prevented us from raising prices as customers have less money to spend. This has also made it difficult to raise wages. On average we're a little positive, with a single-digit percentage increase over last year. Look for bargains in real estate locations and better employees who might have been displaced for economic reasons. Steady as she goes. We're not making any large capital improvements, we're being cautious. Based upon what I've seen, it depends upon the market. Some cities are faring better in this economy than others. The banking industry has seen enormous changes as many have failed. This could make it harder or easier to access, depending on what is going on locally as banks fight to survive. Mainly through banks. A small amount through leasing companies. A combination of owner investment and local or regional banks. In some cases with real estate, some owner financing. Whatever works. Communicate with them. Share as much about the state of the business as we can. Understand each other. And pay based upon loyalty, experience, and performance. Offer health insurance, but share some of the costs with them. That's difficult to answer. It's evolving. You have to monitor it constantly and modify it as best makes sense. We make them an example to others. Recognize them in meetings. Compensate them through performance raises and commissions where applicable. In special cases, we offer ownership. If you grow the business profitably, the exit will eventually take care of itself.